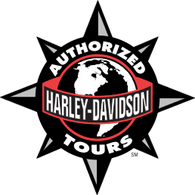 When you join us on one of our Harley-Davidson® Authorized Tours all the day to day touring stresses and hassles are taken care of. For us it is all about you, the ride, awesome scenery, great food and fantastic company. So go on, why don't you hit the "TOURS" button and turn that riding dream into reality? We DARE you to!! 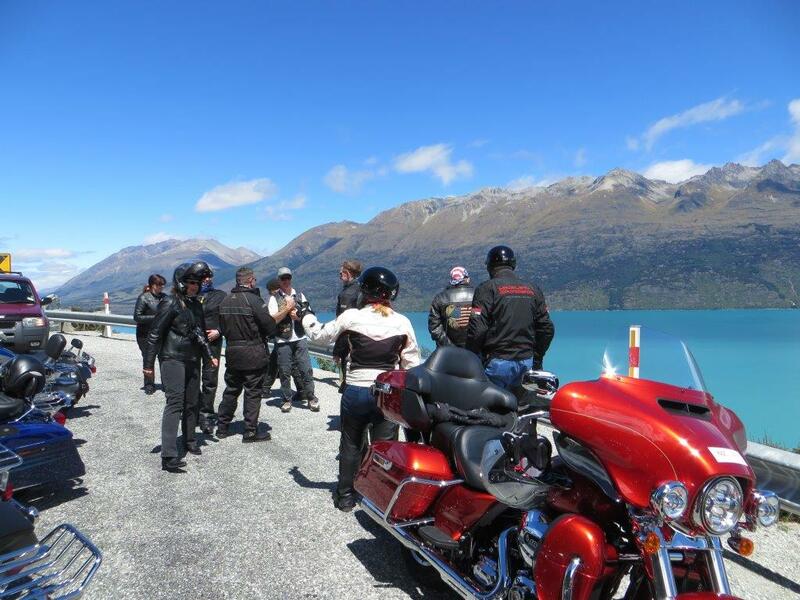 We are proud to be the first and only HARLEY-DAVIDSON® AUTHORIZED motorcycle tour Company in New Zealand/Australia/Asia & Pacific region.We also hold New Zealand Tourism's' official Qualmark Endorsed Visitor Activity and Quality Assured status. Collectively, the two of us have over 87 years riding, touring and adventure experience around the globe with many hundreds of thousands of kilometres on our favoured Harley-Davidson's® under our belts and heaps more to clock up. We are passionate motorcycle riders and avid Harley-Davidson® enthusiasts which lead us into joining the HARLEY OWNERS ﻿GROUP® in 1983. 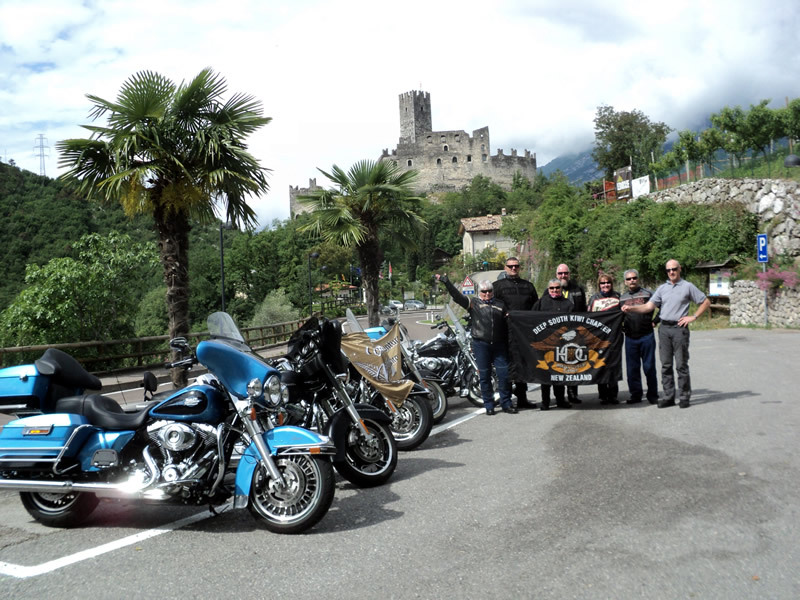 When you join us on a 'Authorized Harley-Davidson® ​Tour' you are assured a quality experience, excellent service, awesome riding and fantastic company! Arrival: For 2019/20 - Optional dates, please enquire. Departure: Optional. 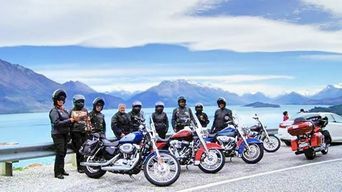 ​​Thirteen days, Twelve Nights of pure New Zealand Harley® Heaven! 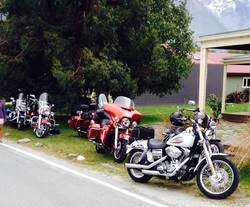 South Island Salute tour here. Arrival: For 2019/20 - Optional dates, please enquire. 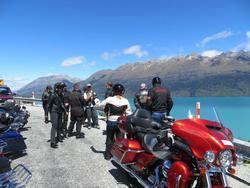 Above tour: Thirteen Days, Twelve Nights of Pure New Zealand Harley® Heaven! South Island Adventure tour here. For year's 2019/20 and beyond, the start and Finish of this tour is flexible. Please contact us if interested. 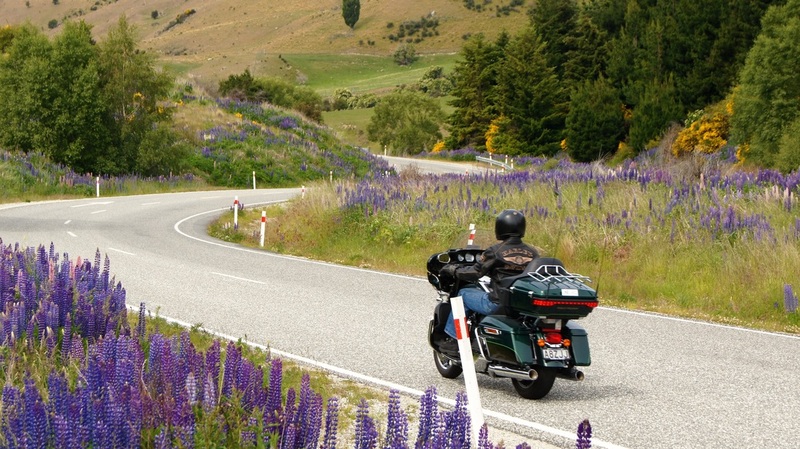 Eight Days, Seven Nights of Pure New Zealand Harley® Heaven! 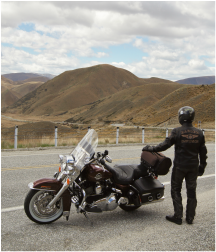 H-D® Deep South Tour has options for you to customize or change the dates and length of your adventure. 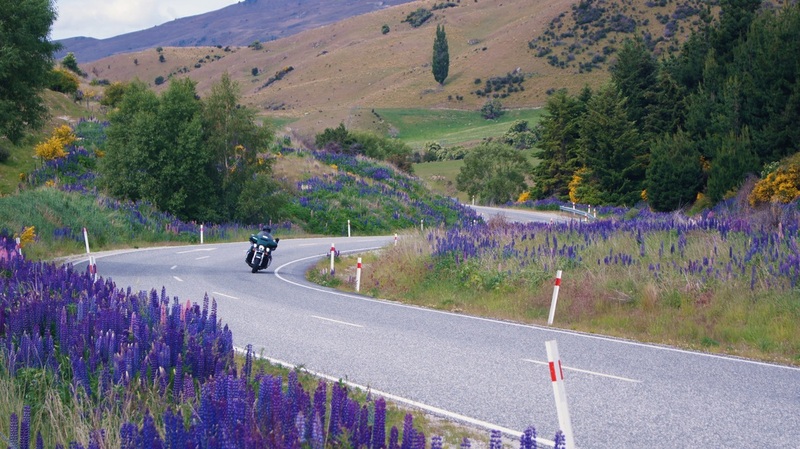 Ride the picturesque roads of the local area of Central Otago and Southland. Wanaka-Queenstown 3 Day Excursion here. and have been H.O.G.® members since 1983.